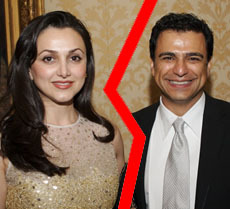 What did the ex-wife of Google executive Omid Kordestani (net worth: $2.2 billion) do after getting dumped for a younger woman? She hooked up with a doctor and hired Julio Iglesias as her wedding singer. Iglesias — whose private-performance fee is estimated at $1 million — was only the start of the bills for the wedding, held last weekend at the Marquis Cabo San Lucas hotel. 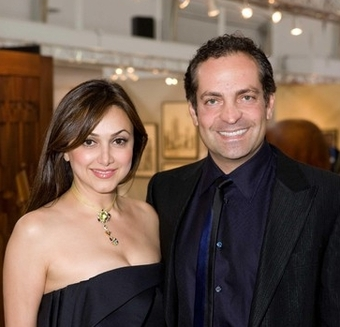 Kordestani's ex, Bita Daryabari, and her groom, vascular surgeon Reza Malek (pictured above, at a charity event in San Francisco), stayed in a $4,000/night presidential suite. 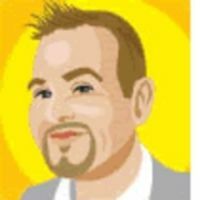 Colin Cowie, the celebrity wedding planner who's seen Tom Cruise, John Travolta, Jennifer Lopez, and others to the altar, organized the nuptials. Some of the guests took chartered planes Daryabari and Malek paid for. A tequila party on the beach ended with fireworks; the last fusillade took the form of a heart. A chef was flown in from New York to cater the affair. Paparazzi, in town to lens Jennifer Aniston, stumbled across the event — which, in a way, only added to its gaudy glamour. It is hard to imagine a worse time to throw an extravagant wedding. But Daryabari surely had other things on her mind. What turned Daryabari, a telecom executive turned philanthropist, into a towering Bridezilla? Her husband, Kordestani, was Google's 12th employee and its first salesman. He struck a search-licensing deal with the now-forgotten Netscape, then an Internet powerhouse where he previously worked, that made Google viable. Google's IPO made Kordestani wealthy, and as Google's shares soared, his fortune grew into the billions of dollars. But then Kordestani fell in love with a coworker, Gisel Hiscock (right, and yes, that's really her name, poor dear). A rumored reconciliation after the revelation of his affair never happened. The couple moved to London last summer. Somewhere along the line, Daryabari and Kordestani finalized their divorce. Which, naturally, gave her a big chunk of Kordestani's Google fortune. And what better way to rub her ex-husband's face in her happiness than by spending his money, a million dollars at a time, on the most extravagant event imaginable? If it weren't a supremely arrogant Googler, the self-crowned king of the new advertising world, getting his comeuppance, we might say her wedding was in poor taste. But is there a sweeter taste than revenge?